Joseph Rouleau CC, GOQ, OALF is one of the world’s foremost operatic basses. Over a long career he has sung major roles with every major opera company. He has always been a tireless advocate for lyric art and young musicians in Canada. A Founding member of MAALQ (Mouvement d’action pour l’art lyrique du Québec) he was instrumental in the establishment of Opéra de Montréal in 1980. He later became president of Jeunesses Musicales du Canada and a jury member for the first Concours musical international de Montréal. Winner of prizes including the Governor General’s Award for Lifetime Achievement, and honours including ‘Companion’ and ‘Grand Officer’ of the Order of Canada, Mr. Rouleau now sits on the Board of Directors for the McGill Chamber Orchestra and retains his position as Honorary President of JMC. 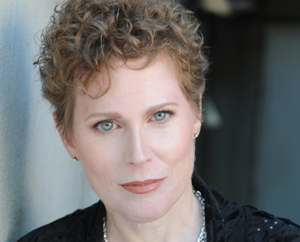 Sharon Azrieli, soprano, has performed in Europe, Israel and throughout Canada and the United States. Her operatic roles cover a broad range, with particular emphasis on Verdi heroines, while her recitals have covered art song to Broadway. As Montreal’s first female cantor, Dr. Azrieli developed a particular interest in Jewish music and its influence on the canon of the western classical tradition. She completed a doctoral thesis on this topic at the Université de Montréal in 2011. 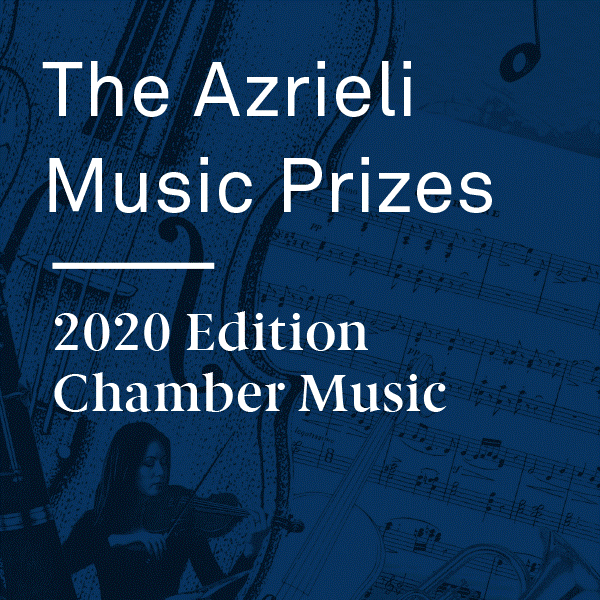 Dr. Azrieli sits on the board of directors of the Azrieli Foundation, the Azrieli Group, and is the President of the Board of Directors of the McGill Chamber Orchestra. Maestro Boris Brott OC, O.Ont, GOQ is one of the most internationally recognized Canadian conductors, and enjoys an international career as guest conductor, educator, motivational speaker and cultural ambassador. He is Artistic Director of the McGill Chamber Orchestra in Montreal, the National Academy Orchestra of Canada, and Principal Guest Conductor of the Petruzzelli Theatre in Bari, Italy. He is also Artistic Director of the Brott Musical Festivals in Ontario and Founding Music Director of the New West Symphony in Los Angeles. Boris Brott served as Assistant Conductor to the New York Philharmonic under the late Leonard Bernstein, was Music Director and Conductor for the Royal Ballet, Covent Garden, Chief Conductor of the BBC National Symphony of Wales, and Music Director of the Northern Sinfonia of England. He is an Officer of the Order of Canada, Member of the Order of Ontario and Grand officier de l’Ordre national du Quebec. Sylvia L’Ecuyer CM is dedicated to the vitality of the arts and music in Canada. A musicologist by training and a skilled communicator, she has been sharing her love of classical music with audiences for over 30 years as a host on Radio-Canada. She has also been Radio-Canada’s director of musical programming and has been a jury member for several arts boards. In addition to her active involvement in the community, she co-founded the Société pour les arts en milieux de santé. She is currently also an Associate Professor at the Université de Montréal Faculty of Music. She made a documentary film (Bali by Heart) about a project of mixing Balinese and Western music in 2006. In 2007, the French government awarded her the title of Knight of the Order of Arts and Letters. In 2017 she was named a member of the Order of Canada. David Sela is the Founder and President of COPAP Inc., a pulp and paper trading company based in Montreal. A passionate amateur musician (both violinist and choral singer) Mr. Sela has performed with both the Orchestre Métropolitain and the Orchestre Symphonique de Montreal. His passion for the arts has extended into his work in the philanthropic world and he has served on many artistic boards including I Musici de Montreal (President), L’Institut Canadien d’Art Vocal, and L’Orchestre de la Francophonie. A former citizenship judge and long-time city counsellor for Hampstead, Barbara Seal CM has long invested her energy in community leadership in Canada. Her past charity work has included membership on the boards of the Children’s Wish Foundation and the Canadian Cancer Society. She is currently the National President of the Canadian Friends of Tel Aviv University and serves on the board of the McGill School of Continuing Studies. In the arts, Judge Seal has served on the boards of Place des Arts and the Montreal Arts Council. She is currently a board member with the National Arts Centre Foundation, the Place des Arts Foundation and the Segal Centre. Judge Seal became a member of the Order of Canada in 1993 and was awarded Queen Elizabeth II’s Golden Jubilee Medal in 2002. Serbian born composer Ana Sokolović is currently a Professor of Composition at the University of Montreal. Active in Canada since the mid-1990s, she has written for many of Canada’s orchestras and chamber ensembles, including performances throughout Europe and North America. She was the recipient of a National Arts Centre Award in 2009, and the SOCAN Jan V. Matejcek Award in 2008 and 2012. Professor Sokolovic has also been honoured with major awards from the Conseil québecois de la musique, the Canada Council for the Arts and the CBC Young Composer’s Competition. Brian Current studied music at McGill University and UC Berkeley (PhD 2002). His music, lauded and broadcast in over 35 countries, has been awarded a Guggenheim Fellowship, the inaugural Azrieli Commission for Jewish Music, the Barlow Prize for Orchestral Music (USA), the Italian Premio Fedora for Chamber Opera and as a Selected Work (under 30) at the International Rostrum of Composers in Paris. Brian Current’s pieces have been programmed by all major symphony orchestras in Canada and by dozens of professional orchestras, ensembles and opera companies world-wide. His music appears on ten commercial recordings, including three albums devoted exclusively to his works. The Naxos recording of his opera Airline Icarus earned him a 2015 Juno Award for Best Classical Composition. Neil W. Levin is recognized as one of the leading authorities in the field of Jewishly-related music and is in much demand as a lecturer and presenter at university seminars and academic conferences throughout North America, Europe, and Israel. Since 1993 he has been Artistic Director and Editor in Chief of the Milken Archive of Jewish Music, which was founded to document, preserve and disseminate the vast body of music that pertains to the American Jewish experience, and is also known for its groundbreaking 50-CD series released on the NAXOS label, its voluminous scholarly research, and its vast library of oral histories filmed throughout the United States, Europe, and South Africa. The holder of a PhD degree in Jewish music, Dr. Levin has been a professor on the faculty of the Jewish Theological Seminary of America since 1982. His collective writings on music of Jewish connection as well as other subjects comprise hundreds of published articles and monographs, and they also appear in several books and essay collections. Dating to 2016 he is the Anne E. Leibowitz Visiting Professor in Residence in Music at the YIVO Institute for Jewish Research in New York. Dr. Levin is also an accomplished pianist and choral conductor, having directed numerous major concerts from the podiums of venues such as Lincoln Center in New York and The Royal Festival Hall and The Barbican Centre in London; and he is the founder and director of the professional chorus, Schola Hebraeica, which has toured North America and England on a number of occasions. He devised, scripted, and supervised the Milken Archive’s theatrical-concert presentation, One People – Many Voices, which was premiered in Los Angeles in 2006 at the Walt Disney Concert Hall, performed by the L.A. Philharmonic and an international roster of soloists under the baton of Maestro Gerard Schwarz. Maestro Steven Mercurio is an internationally acclaimed conductor and composer whose musical versatility encompasses the symphonic and operatic worlds. As a symphonic conductor, he has led the London Philharmonic, Prague Philharmonia, Sydney Symphony Orchestra, New Jersey Symphony Orchestra, among others, and the Spoleto Festival Orchestra where he was Music Director. Maestro Mercurio has conducted numerous historic telecasts, including the “Christmas in Vienna” series with the Vienna Symphony Orchestra for Sony Classical, highlighted by the 1999 concert featuring “The Three Tenors;” and the PBS special “American Dream–Andrea Bocelli’s Statue of Liberty Concert” with the New Jersey Symphony. Mercurio also led the worldwide tour of Sting, featuring the Royal Philharmonic Orchestra, and culminating in the DVD “Live in Berlin.” Also a composer, Mercurio’s “For Lost Loved Ones” was premiered by Zubin Mehta and the New York Philharmonic. Betty Olivero is a contemporary Israeli composer, who has lived during most of her career in Florence, Italy. She has received the Fromm Award (USA, 1986), the Prime Minister’s Prize (Israel, 2001), the Rosenblum Award for the Performing Arts (Israel, 2003), the Landau Award for the Performing Arts (Israel, 2004), the ACUM prize for Life Achievements (Israel, 2004), the Prime Minister’s Prize (Israel, 2009) and the ACUM Award for Achievement of the Year (Israel, 2010). While still studying in Israel, Betty Olivero was granted scholarships from the America-Israel Cultural Foundation. In 2000, Olivero received the prestigious Koussevitzky Award. She currently lives in Israel, where she is a full professor of composition at the Music Department in Bar-Ilan University. Barbara Croall is Odawa First Nations and balances her time composing, performing and teaching music with work in outdoor education rooted in traditional Anishinaabeg teachings, working with aboriginal youth and singing in traditional ceremonies. She graduated from the Hochschule für Musik in Munich and the University of Toronto, and also studied composition and theory with Dr. Samuel Dolin, Sasha Rapaport and Arthur Levine. Other music composition studies include with: Sir Peter Maxwell-Davies, Robert Saxton and Helmut Lachenmann. Apart from her music for traditional First Nations flutes and voice in the Anishinaabe way, her music for soloists, chamber ensembles, orchestra, film, theatre, dance and interdisciplinary performance has been premiered internationally in over 12 countries. Mary Ingraham is Professor of Musicology and Director of the Sound Studies Initiative at the University of Alberta. She is an interdisciplinary researcher whose interests resonate within the fields of cultural studies and include: critical approaches to coloniality, the politics of culture, and discourse analysis that consider issues of ethnicity, race, gender and spirituality in identity studies; intersensory studies of sound, listening and the materiality of musical experience; ecologies and environments in human geography; and methodologies grounded in musicology, ethnomusicology and a sensitivity to Indigenous practices. Mary has been exploring social and political perspectives on the creation and performance of music and sound in Canada for over 20 years. Her interests are historical and contemporary, critical and pedagogical, and converge in a critique of social systems that enact western hegemonic paradigms through cultural expression. Current activities in scholarly teaching and research include consideration of Indigenous resurgence in inter-arts collaborations, DIY digital-aural ethnography, expressions of interculturality, and the role of sounds and media in cultural preservation and memory. David Pay loves sharing the experience of great music and great musicians with people. He founded Music on Main in 2006 with the goal of creating informal, intimate musical experiences. Since then, he’s developed an international reputation as one of today’s leading-edge classical and contemporary music programmers. His background in music includes degrees in classical saxophone performance, years of singing in choirs, and sitar lessons in India. But it’s producing concerts that gets him out of bed in the morning. He loves to think about innovative ways for audiences and musicians to engage with each other. He plays with ideas about how music from different eras and different genres can shed light on each other. And he’s committed to ensuring that all kinds of music can be experienced in welcoming, friendly environments that puts both listeners and performers at ease. Described as a “new music visionary” (National Arts Centre), composer Andrew Staniland has established himself as one of Canada’s most important and innovative musical voices. His music is performed and broadcast internationally and has been described by Alex Ross in the New Yorker Magazine as “alternately beautiful and terrifying”. Important accolades include three Juno nominations, the 2016 Terra Nova Young Innovators Award, the National Grand Prize winner of EVOLUTION (presented in 2009 by CBC Radio 2/Espace Musique and The Banff Centre), and was the recipient of the Karen Keiser Prize in Canadian Music in 2004. As a leading composer of his generation, Andrew has been recognized by election to the Inaugural Cohort of the College of New Scholars, Artists and Scientists of the Royal Society of Canada. Andrew was an Affiliate Composer to the Toronto Symphony Orchestra (2006-09) and the National Arts Centre Orchestra (2002–04), and has also been in residence at the Centre du Creation Musicale Iannis Xenakis (Paris, 2005). He is currently on faculty at Memorial University in St John’s Newfoundland. With music described as “breathtaking” (Kitchener-Waterloo Record), “imaginative and expressive” (The National Post), “a pulse-pounding barrage on the senses” (The Globe and Mail), and “Bartok on steroids” (Birmingham News), Kelly-Marie Murphy’s voice is well known on the Canadian music scene. She has created a number of memorable works for some of Canada’s leading performers and ensembles, including the Toronto, Winnipeg and Vancouver Symphony Orchestras, The Gryphon Trio, James Campbell, Shauna Rolston, the Cecilia and Afiara String Quartets and Judy Loman. In addition to many academic scholarships awarded in Canada and England, Dr. Murphy also has won numerous prizes for her music, including the 2017 Maria Anna Mozart Award from Symphony Nova Scotia. Her career was launched when she won first prize and the People’s Choice Award at the CBC Young Composer’s Competition in 1994 (string quartet category). Since then, Dr. Murphy’s music has been performed around the world by outstanding soloists and ensembles, and has had radio broadcasts in over 22 countries. Her music has been interpreted by renowned conductors such as Sir Andrew Davis, David Brophy, Bramwell Tovey and Mario Bernardi, and has been heard in iconic concert halls, such as Carnegie Hall in New York City and The Mozarteum in Salzburg. Kelly-Marie Murphy was born on a NATO base in Sardegna, Italy, and grew up on Canadian Armed Forces bases all across Canada. She began her studies in composition at the University of Calgary with William Jordan and Allan Bell, and later received a Ph.D. in composition from the University of Leeds, England, where she studied with Philip Wilby. After living and working for many years in the Washington D.C. area where she was designated “an alien of extraordinary ability” by the U.S. Immigration and Naturalization Service, she is now based in Ottawa. Murphy’s wide-ranging catalogue includes concerted works for harp and orchestra (And Then at Night I Paint the Stars, 2002) and for cello and orchestra (This the Colour of My Dreams, 1997). Now she combines these two solo instruments in a single composition, her double concerto for harp and cello entitled En el escuro es todo uno (In the Darkness All Is One). There may not be another concerted work for this pair of instruments anywhere. Tonight’s performance marks the twenty-minute concerto’s world premiere. The third movement (Yigdal No. 2) is a cadenza for the two solo instruments plus vibraphone. It is modal, but incorporates threads of the Yigdal (a liturgical prayer or hymn expressing the faith of Israel in God) as it is sung in Constantinople. The final movement is based on two songs: Noches, noches, buenos noches a romance most likely from Sarajevo and Ven Chicka Nazlia (“Come little tease,”) a fun, flirtatious song most likely from Turkey. The movement arrives without pause, immediately following the cadenza. The first part, slow and atmospheric, consists of a canonic presentation of the theme from Noches, noches. The remainder of the movement is built on the fast and uplifting melody from Ven Chicka Nazlia. Avner Dorman writes music of intricate craftsmanship and rigorous technique, expressed with a soulful and singular voice. A native of Israel now living in the United States, Dorman draws on a variety of cultural and historical influences in composing, resulting in music that affects an emotional impact while exploring new territories. His works utilize an exciting and complex rhythmic vocabulary, as well as unique timbres and colours in orchestral, chamber, and solo settings. The world’s finest orchestras, conductors and soloists perform Dorman’s music and many of his compositions have become contemporary staples in the repertoire. Dorman’s music is championed by conductors such as Zubin Mehta, Ricardo Chailly and Andris Nelsons, and by soloists Gil Shaham, Martin Grubinger and Hilary Hahn. Along with Nigunim, Dorman’s 2018-19 season features several other exciting premieres, including Eternal Rhythm, a new percussion concerto for Simone Rubino and the NDR Elbphilharmonie Orchester, and a new violin concerto for Sayaka Shoji. Dorman’s music has garnered numerous awards and prizes. His debut opera, Wahnfried, was named a finalist in the category of World Premiere at the International Opera Awards. At the age of 25, Dorman became the youngest composer to win Israel’s prestigious Prime Minister’s Award for his Ellef Symphony. He since has earned several international awards from ASCAP, ACUM and the Asian Composers League. Dorman is an active conductor. He is currently music director of CityMusic Cleveland Chamber Orchestra. He holds a doctorate in composition from Juilliard and serves as Associate Professor of Music Theory and Composition at the Sunderman Conservatory of Music at Gettysburg College. The Israeli-born composer Avner Dorman received his master’s degree from Tel Aviv University and his doctorate in composition from Juilliard, where he studied with John Corigliano. He now lives in the U.S. and teaches at the Sunderman Conservatory of Music in Gettysburg, Pennsylvania. In addition to composing and teaching, Dorman is also a conductor, in which capacity he has been music director of the CityMusic Cleveland Chamber Orchestra since 2013. In 2001, at the age of 25, Dorman became the youngest composer to win Israel’s Prime Minister’s Award for his Ellef Symphony. He then went on to earn awards from ASCAP, ACUM and the Asian Composers League. Dorman’s music is performed by the world’s leading musicians and orchestras, which include the New York Philharmonic, the Cleveland Orchestra, the Los Angeles Philharmonic, the San Francisco Symphony, the Munich Philharmonic, the Israel Philharmonic and the Taiwan Philharmonic. His highly varied catalogue is rapidly approaching one hundred works in nearly every genre and formation. His fifth and most recent piano sonata was commissioned by the Arthur Rubinstein International Music Society in 2016. His first opera, Wahnfried, premiered in Karlsruhe in 2017, was nominated a finalist for the 2018 International Opera Awards. The opera depicts the relationships between the English scientist Houston Stewart Chamberlain, the Wagner family and the young Adolf Hitler. Dorman’s orchestral works include those with such intriguing titles as Variations Without a Theme, Astrolatry, Siklòn (the Haitian Creole word for cyclone) and Lost Souls. Then there is a whole host of concertos and solo works for such instruments as mandolin, piccolo, saxophone and percussion, in addition to those for piano, cello and violin (including one for violin and rock band). Nigunim (plural of nigun, also spelled niggun) are a type of Jewish religious song, largely improvisatory in nature, and often incorporating repetitive sounds such as “bam-bam-bam” or “doi-doi-doi.” In tone they may be mournful and devotional, or joyous and triumphant. Dr. James Loeffler, on the web site myjewishlearning.com, notes that nigunim are “often described as mystical musical prayers or a spiritual language beyond words. They are songs formed of multiple melodic phrases, typically sung without instrumental accompaniment and without words,” and are “performed in a distinctive expressive vocal style with dramatic inflections similar to cantorial music referred to by the Yiddish words krekhts (literally moan, sigh, or sob) and kneytsh (pinch). In 2017, Brian Current’s new opera Missing premiered in Vancouver. His first opera, Airline Icarus received the Premio Fedora in 2011 for Best New Chamber Opera, and a 2015 Juno Award for its recording on Naxos. It was also invited to Opera America’s New Works Showcase and to the Fort Worth Opera Frontiers Festival. Current studied composition at McGill University and UC Berkeley (PhD, 2002). His music, lauded and broadcast in over 35 countries, has been awarded a Guggenheim Fellowship, the Barlow Prize for Orchestral Music (USA) and a Selected Work (composers under 30) at the International Rostrum of Composers in Paris. Additional prizes and awards have come from the Fromm Music Foundation of Harvard University, the Koussevitsky Foundation, the Canada Council and the Ontario Arts Council, among others. “I became interested in the Zohar (the Book of Enlightenment) while researching texts for The River of Light, a large-scale multi-movement oratorio for choir, orchestra and soloists. The name of the cycle comes from Dante’s Paradiso, where the Pilgrim enters the glowing core of heaven and declares: “And I saw a light in the form of a river, radiant as gold, between banks painted with wondrous springs.” My frequent collaborator and librettist Anton Piatigorsky introduced me to the Zohar (attributed to Rabbi Moses de Leon (1250-1305), which he described as the most central book in the Kabbalah and the most mysterious of Jewish mystical texts. I immediately heard turbulent and gestural music full of orchestral colours. “Even more inspiring and brimming with musical possibilities was the Zohar’s reference to The Seven Heavenly Halls, a series of ecstatic stages where each vision is marked by a different colour. After passing through each of the coloured halls a mystical traveller will, much like Dante’s Pilgrim, enter a seventh and “colourless” state: “not white, not black, not red, not green, no colour at all. When a band spanned, it yielded radiant colours.” I envisioned a piece made up of seven ecstatic stages represented by different musical colours and textures. With the addition of three introductory movements, the piece is divided into ten sections, to be performed with little or no pause between them. “Throughout, the tenor soloist acts as both our guide through The Heavenly Halls and as our medium into the texts of the Zohar. In calmer moments he sings in a style resembling cantillation, using scales based on the traditional Ahavah Rabbah, Magein Avot and Adonai Malach modes. The chorus, on the other hand, is envisioned as myriad voices within the texture of the orchestra so that the music is layered with the sounds of the traditional Sefirot: keter, binah, chochmah, da’at, chesed, gevurah, tiferet, hod, netzach, yesod and malchut. “The Seven Heavenly Halls forms Part I of The River of Light, a large-scale multi-movement cycle for choir, orchestra and soloists. Made up of seven separate pieces, The River of Light is about transcendence and is based on the texts of several traditions (Hindu, Christian, Jewish, First Nations Canadian, Sufi, Maori and Chinese) that describe mystical journeys towards an exalted state. The music of Wlad Marhulets has been performed far and wide by world-class musical organizations, such as Lyric Opera of Chicago, Orchestre Symphonique de Montreal, Czech National Symphony Orchestra, Detroit Symphony, Columbus Symphony, Princeton Symphony, Orchestre National de Lyon, the Sinfonietta Cracovia, the Lithuanian choir Jauna Muzika, Qatar Philharmonic Orchestra, Macedonian Philharmonic Orchestra and others. He has won the Susan W. Rose Fund Grant, the Peter D. Faith Prize, and five ASCAP Awards, including the prestigious Leonard Bernstein Award. A full scholarship student during his tenure at the Juilliard School, Wlad studied composition exclusively with Oscar and Pulitzer Prize-winner John Corigliano. An active film composers, Wlad has worked on such films as Ambition, directed by Bob Shaye, Hitman: Agent 47, starring Rupert Friend and Zachary Quinto, Ruby Strangelove Young Witch, directed by Evgeny Ruman, The Giver, starring Meryl Streep, November Man, starring Pierce Brosnan, Orchestra of Exiles, directed by Oscar nominee Josh Aronson, Sabotage, starring Arnold Schwarzenegger, and others. At present, Wlad is working on the score for DARQ, one of the most anticipated horror video games, which will be released in early 2019. So began composer Wlad Marhulets’ lifelong fascination with the folk music of his Jewish heritage, along with his determination to bring that music to light on a wider stage. Five years later, while he was studying in New York, Marhulets and Krakauer finally met. The result was the Concerto for Klezmer Clarinet, first performed in 2009 by Krakauer and the Detroit Symphony Orchestra under conductor Andrew Litton. A composite style of music derived from the Ashkenazi Jewish traditions of eastern Europe, transmission of klezmer (kli – zemer: literally, vessel of music) was largely unwritten, tending to adapt and mould to local contexts as required. The music of the klezmorim was usually celebratory in function, often heard at weddings and other special occasions. Instrumentation was rarely fixed. In keeping with its flexible tradition, the 20th century American klezmer revival assimilated elements of jazz, funk and even hiphop. Marhulets follows suite, infusing his polystylistic work with contemporary genres, while further adapting the form for the symphonic medium. The energetic first movement immediately highlights the clarinet’s virtuosic potential through multiple trills and a specialized style of “bent” notes meant to evoke the human voice. A perpetually mobile orchestral accompaniment maintains rhythmic stability, while the clarinet persistently emphasizes offbeats and an electric bass guitar hints at elements of funk. The second movement begins with a solo clarinet cadenza. Discreet strings create a haunting echo effect and lead to the hazy entrance of the full orchestra in this sepia-hued nigun-style lament. A second solo cadenza plunges without pause into the third movement, in which a singular obsessive motive is repeated, transformed and recycled to its exhaustive and virtuosic conclusion, bringing the concerto to a brisk close. Wlad Marhulets’ work Concerto for Klezmer Clarinet is the winner of the inaugural Azrieli Prize in Jewish Music, announced in June, 2016.